The Guardian: Two years on, and just half of promised aid has been delivered. Reuters AlertNet: Haiti to mark two years after catastrophic quake. 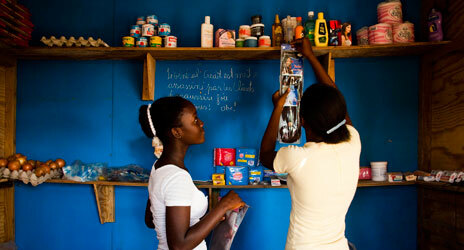 PBS Photo Spread: Haiti, two years on. American Red Cross: Haiti Earthquake Response, Two-Year Update. UNICEF Report on victories & challenges for children. Press release and full report. Plan International Haiti: Two Years After: Successes, Challenges, and Priorities. UNOCHA Press Release: Two years after the devastating earthquake. Oxfam Haiti Progress Report: January – December 2011. IFRC Media Blog: Two Years On, ongoing work of Red Cross Red Crescent. Dochasnetwork’s Blog: Haiti two-year summary. American Red Cross video: Haiti, two years on.